Happy Sunday! I’m writing my post early because I am not sure what the plans are for Saturday and I want to be sure to have a post for you!! It’s been over 13 months and I haven’t missed a post yet!! 🙂 Today I have for you a recipe re-make of one of my all time favorite yeast rolls, Cranberry Walnut Rolls. These are my favorite, favorite fall rolls to make. There slightly sweet, perfect with fall dishes and my new recipe makes them fewer calories, lighter and fluffier then my previous recipe. The difference in these rolls is that I used Vital Wheat Gluten and made the rolls smaller. I went from 184 calories down to 138 calories. Yah!! I like to make a dozen rolls, and then I freeze them. 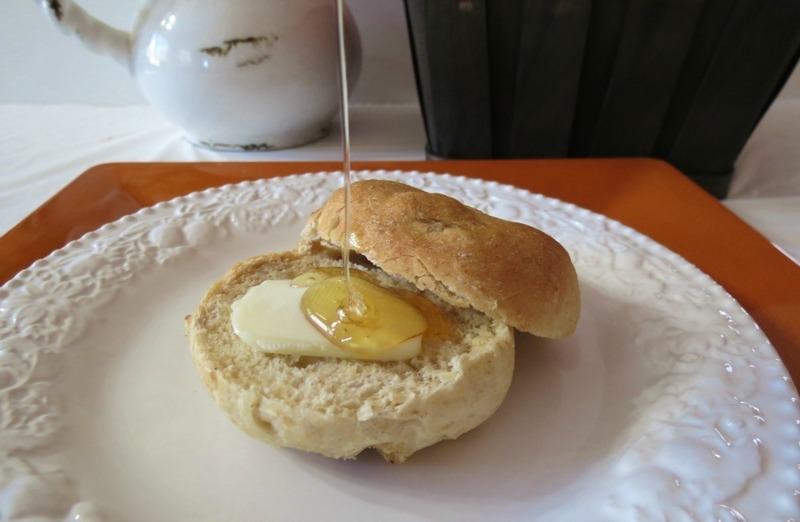 When I want a roll, I microwave it for 20 seconds then pop it right into the oven for a few minutes!! One thing I love to do is freeze bread! If I leave them out, I’ll eat them all!! I have no self control when comes to bread or cookies!!! I am truly a carb lover!!! At least these rolls are made with wheat, which is healthier then just plain white! 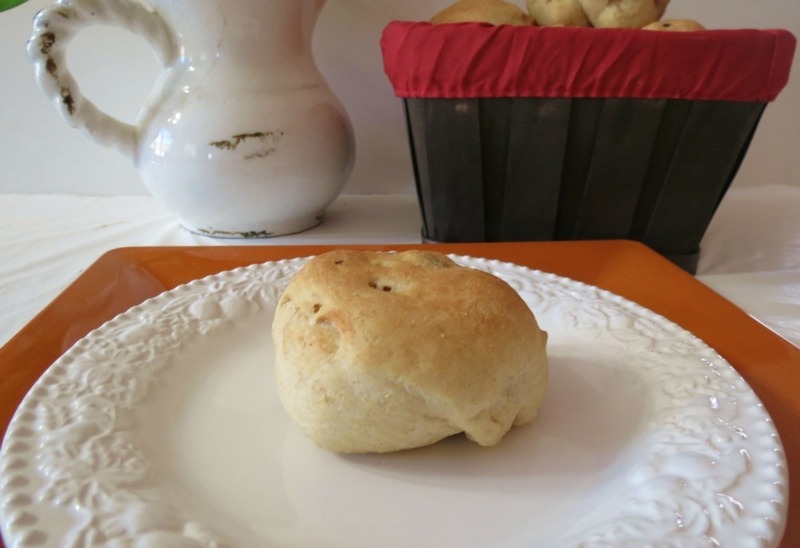 These rolls are so easy to make! Don’t let bread making scare you off! It’s so rewarding when you take flour and it turns into bread, it’s like magic! I made this batch in my stand mixer, but I have also made them by hand which is just as easy! 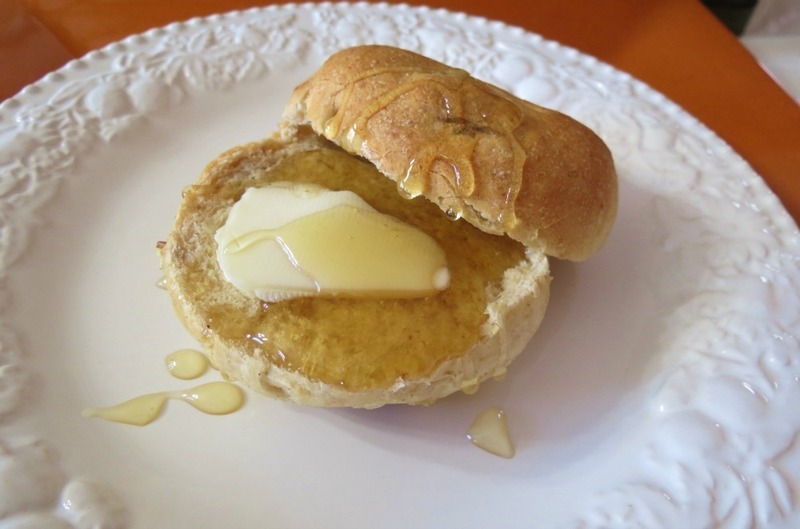 If you like bread you must make this recipe! I promise it’s easy!! If I can make bread, so can you!! 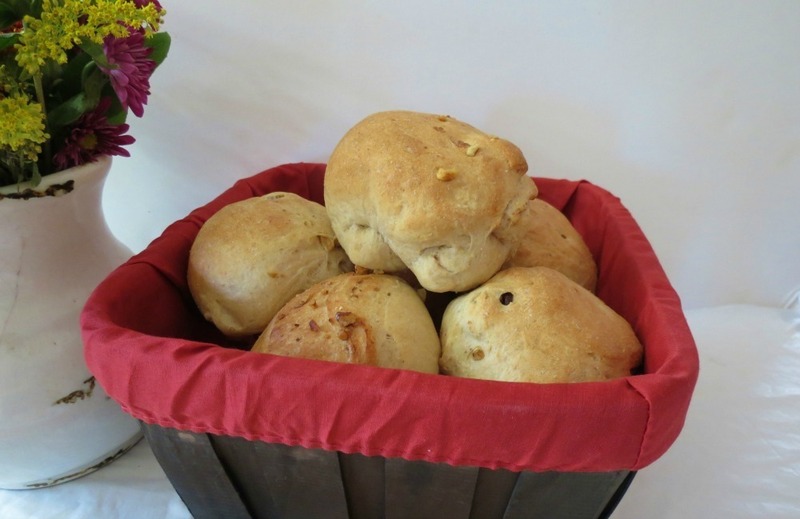 A sweet wheat roll made with dried cranberries and walnuts. To toast the nuts, preheat your oven at 400 F.
Place them on a baking sheet and toast for 10 minutes. Remove to let them cool and chop coarsely. Sprinkle the yeast on top of 4 Tbsp lukewarm water and leave to froth for 5 minutes. In a bowl, place the flour. Add the salt and sugar and mix together. Add the butter cut in pieces and mix. Make a well in the middle and pour the yeast. Mix with the tip of your fingers. Slowly add the rest of the water. Knead the dough with the palm of your hand until it is elastic and forms a ball. Cover and let rise in a warm part of the house, until it doubles in size, about an hour. Add the nuts and cranberries and knead the dough again. Form small bread rolls into 2 oz. (about 10 or 112, depending on the size, they will rise). Place them on a baking sheet and cover again to let rise for 30 minutes. Preheat your oven at 410 F.
Brush the rolls with some water and place in the oven for 20 minutes or so. The rolls are ready when they have a nice golden color and sound hollow when tapped with your finger. Remove and let them cool on a cooling rack. 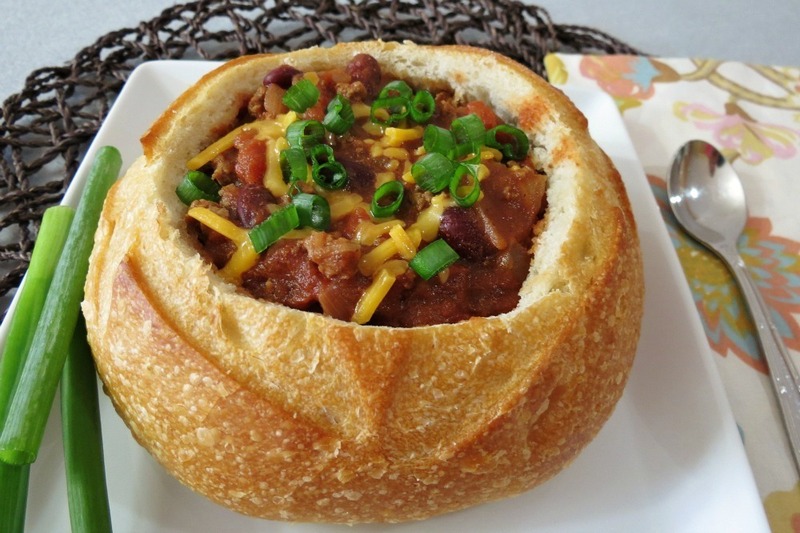 Monday: Wally’s Beef Chili / Food Buzz Event – This chili is fantastic It’s hearty, thick and full of flavor and not very spicy!! This is one dish I will let my Husband make again and again! Ok, I made it this time around, but it is his recipe. He appreciates all the nice comments you left. It made his day! 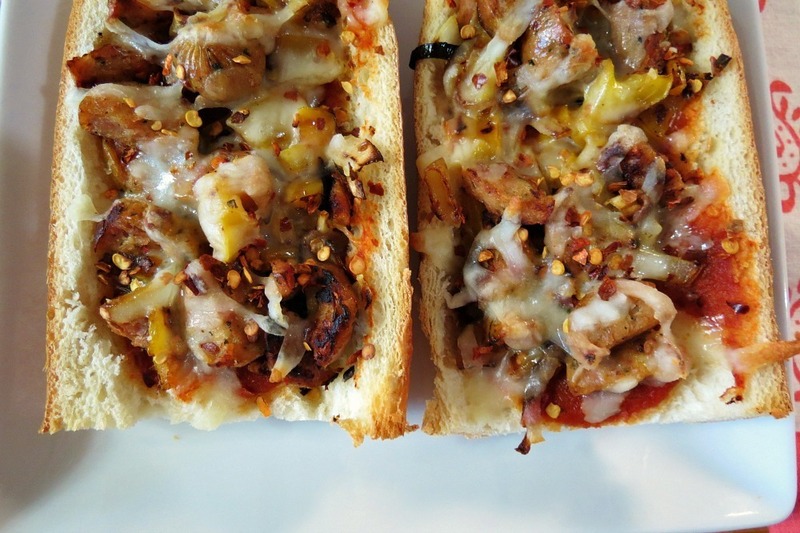 Tuesday: French Bread Pizza Sandwich – This was my last post for the Emeril Lagasse’s Kicked Up Sandwiches I love french bread pizza and I love the idea that Emeril stole from me about carving out the bread and stuffing it with your filling. OK, he didn’t get that idea from me, but either way it’s a great way to save on calories and carbs, unless your filling it with pepperoni and cheese! Wednesday: Skinny Vanilla Latte – I love this coffee drink. 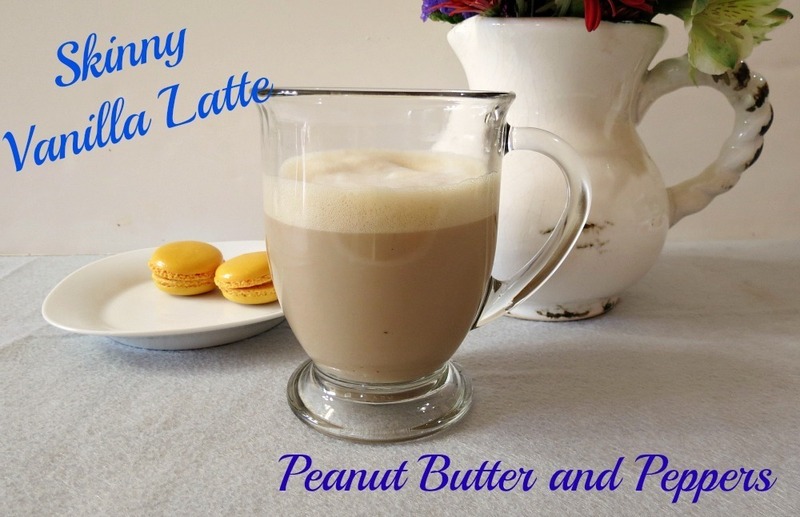 In three minutes you have a frothy, light latte, that I think is better than Starbucks!!! It beats leaving the house to get one!! Plus it saves you a little cash! 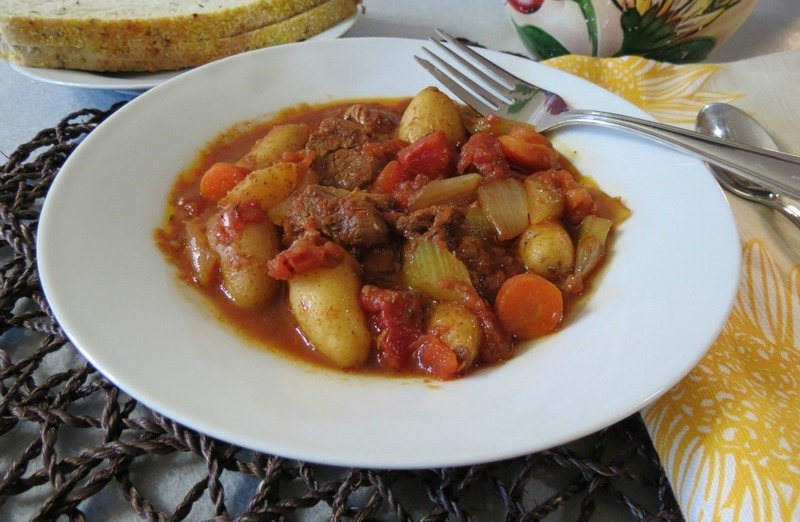 Thursday: Beef Stew in Crockpot – I said it in my post, but I have to say it again, this is by far the best Beef Stew that I have made! The tomato sauce I added was perfect in it!! After my Foodbuzz event I was really craving hearty meals!! Now that the weekend is here, I’m craving sweets!! I must stop that!! 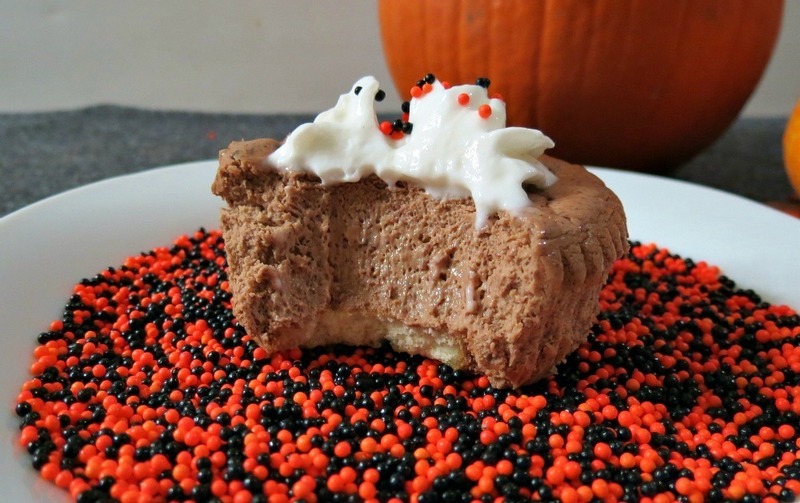 Friday: Skinny Chocolate Cheesecake – Oh my gosh! These are little bites of chocolate heaven! I am so impressed with these cheesecakes, that I want to make them again!! The best description I can give you is that there like a chocolate mousse with a hint of cheesecake flavor. 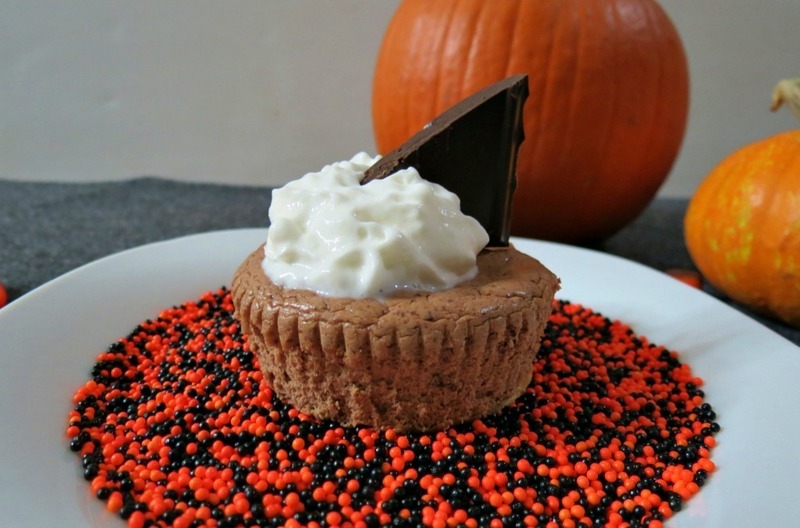 If you’re a chocolate fan, you HAVE to make these!!! One more picture, because they are just that good!!! Saturday: Pumpkin Crumble Bars – These are bars are also very delish!! There a combination of an oatmeal granola bar and a crisp topping. I found there best refrigerated so they firm up and not fall apart!! I was shocked, but they were a hit at work. I didn’t tell anyone there gluten-free and vegan!! he he Let’s keep that between us! That is it for this past week!! Stay tuned this coming week, I have my biggest giveaway yet! I’m so excited to share it with you! The best clue I can give you is it’s something that I love that is not Peanut Butter!! P.S. 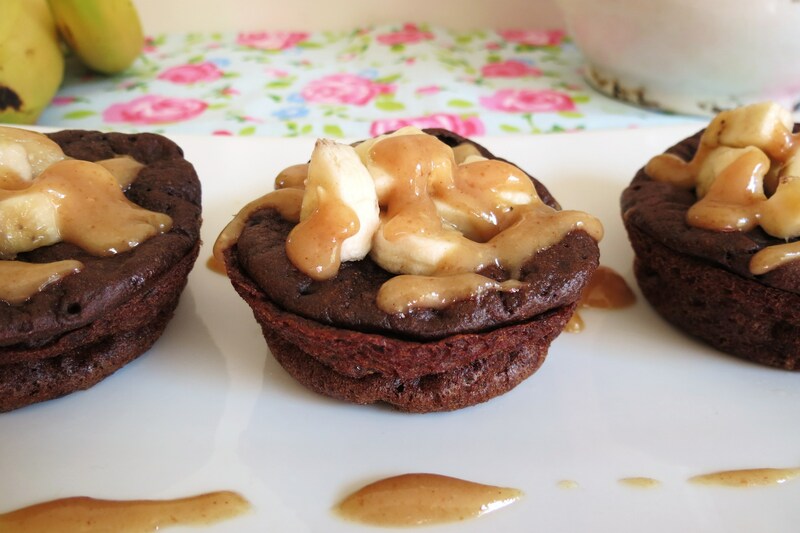 This weeks craving is Chocolate Peanut Butter Banana Pancake Popovers. I have been wanting chocolate and I think having them in pancake form is the best way to go!!! There rich, chocolaty and healthy!! Those rolls look delicious! Love your new picture, so pretty!! Stop by to enter my giveaway this week 🙂 Happy Sunday! Oh yum!! I’m getting a sourdough starter started again and I’m looking forward to baking more bread. I’m still not done my darn bread challenge, there’s so much to explore with it! Hi Liz! I did enter the Cookie Exchange this year! You must join it! Three lucky people would get a chance to try one of your baked goods. I thought of you today! I was cleaning out my linen closet and saw the “Joy” Christmas tea towel you gave me! Join the exchange, maybe I’ll be lucky enough to get you again!! I have a weakness for bread too. These rolls sound so good. Perfect roll to serve at Thanksgiving! Thanks Stephanie! I love these crazy little rolls!! I love you and miss you Mom! I got Kevin his Giant newspapers! I was smart and stopped at the store on my way to work!! But don’t tell him, I may give them to him for Christmas! Love that you tweaked your own recipe and came up with some that you love! Experimentation is the name of the game 🙂 And they look wonderful!